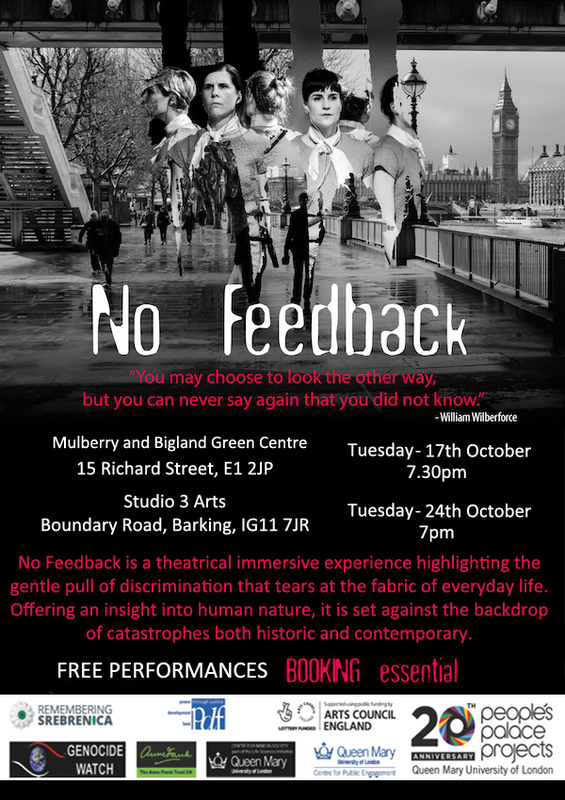 No Feedback is a theatrical event highlighting the gentle pull of discrimination that tears at the fabric of everyday life. Giving an insight into human nature, it is set against the backdrop of catastrophes both historic and contemporary. By taking Genocide Watch’s ground-breaking research as the backbone of the production, No Feedback intelligently and sensitively asks audiences to consider their own place on the spectrum of how we relate to one another. We are looking for performers with an interest in physical, interactive performance. In this show you will need to deliver text, perform physically including lifting other performers and engage with the audience directly. We welcome applications from students of all backgrounds, shapes, energies and accents! 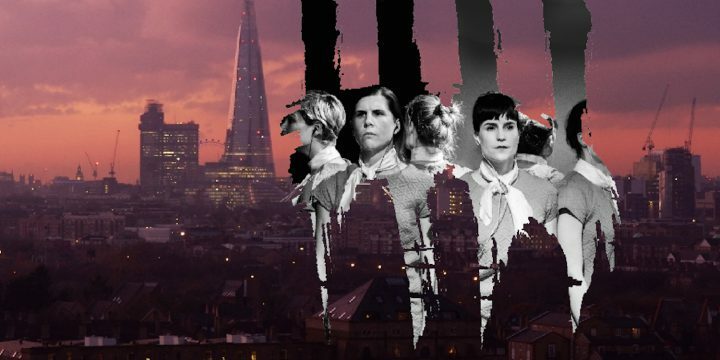 This is an opportunity to be involved in an exciting new phase of the project called No Feedback UnLimited, which involves taking the show into non-theatre settings and using it as a tool for social change. IMPORTANT: You will need to be available for rehearsals between 4 Nov – 15 Dec (exact dates TBC). This is a voluntary position. To apply, just fill in the short application form you can find here and let us know what attracted you to the aims and themes of this project. Please email this to renata.peppl@peoplespalace.org.uk by 9am on Tuesday 17th. Spaces are limited. * Introduction meeting with project director Shana Swiss will happen on 18th October from 4.30pm to 5.30pm (optional).